Join the Simmons family as they embark on their Family Vacation to sunny California in this family-friendly adventure. Hit the beach, take in a ballgame and ride the rollercoaster at the theme park all before helping the family compete on the game show; The Price is Nice! for cash and prizes. Free Game features: - 25+ Levels over 8 chapters; - 15+ challenging puzzles; - Bright, colorful graphics; - Fun for the whole family. 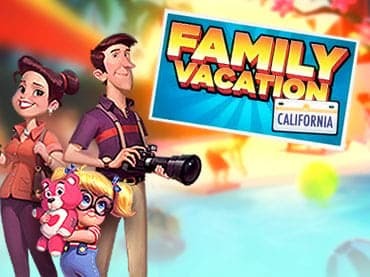 If you have questions about Family Vacation: California game, please contact us using this form.